For recent thoughts, see my blog posts on Public Interest Capitalism. Capitalism is failing to solve many of the world’s most pressing problems. One reason may be that business corporations sometimes sacrifice the public interest in pursuit of profits, rather than creating positive sum games that generate profit in the course of advancing the public interest. This research focuses on the social role of business corporations, which have become hugely influential actors in modern society. We observe that corporate management sometimes exhibits a range of pathologies, characterized notably by inequity, underinvestment and short-termism, and the breakdown of social capital. Although we focus on American companies in our study, these problems are by no means limited to the U.S. These pathologies are sustained by a web of mutually-reinforcing social and economic systems. In particular, our research highlights the role of corporate governance mechanisms, management techniques, free-market and shareholder-value-maximization ideologies, and business school education. What is the Public Interest? Sustainability: Promoting human welfare now, in the near future, and in the distant future. Equity: Rewards correlate positively with contributions. Though the preferred relationship may vary from society to society, those who contribute less should not be rewarded more. Innovation: Learning to produce better goods and services more efficiently. Better goods and services are those that contribute more to human welfare; efficiency refers to using resources carefully, with as little waste as possible. Dominant forms of capitalism fail some of these tests. Environmental degradation and resource depletion are not sustainable. Hedge fund manager compensation in excess of one hundred million dollars per year is clearly inequitable, especially in light of the volatility and inefficiency that results from large-scale speculation. These criteria are not necessarily orthogonal: sustainability in a changing environment requires innovation, for example. However, bounded rationality means that the selection of multiple, interrelated criteria may be necessary to support effective decision-making. Rather than seeking to maximize shareholder profits, our theory of Public Interest Capitalism implies that firms should pursue sustainability, equity, and innovation. We term this Public Interest Management. This does not imply that profits are unnecessary: financial losses are generally unsustainable, and profitable firms generate surpluses that can fund innovation. Public Interest Management does imply, however, that the criteria used for business decisions should be more balanced and nuanced than the positive net present value test espoused by finance textbooks. Furthermore, though Public Interest Management may actually maximize shareholder returns over the long term, the equity criterion demands that firms share profits with employees and other stakeholders that contribute to the success of the company. This research, together with George Hara, Asumi Nonomiya, and my Harvard colleagues Ethan Bernstein, David Grewal, and Brad Staats seeks to understand how to better align capitalist economic institutions with the public interest. 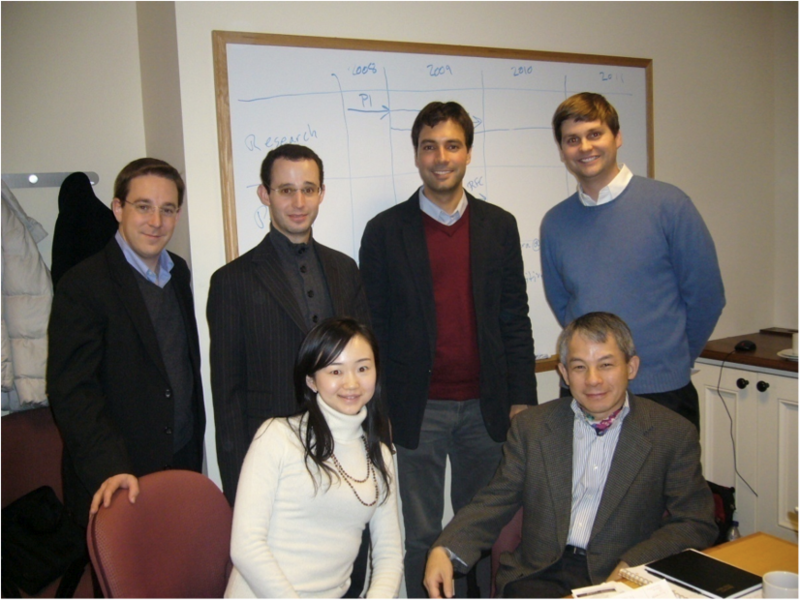 The project officially began in September 2008 with support from the Tokyo Foundation and the Alliance Forum Foundation. We developed our ideas in a series of three workshops held on the Harvard Business School campus, and we are currently preparing a research paper that summarizes and elaborates our findings. I have presented the research at several conferences and workshops in Japan, and George Hara has published numerous articles about Public Interest Capitalism in the Japanese press.